Temuco is an important hub for tourism excursions in the Lake District. Hiking, fishing, camping, biking and walking tours are popular as well as all the cultural activities and attractions of Temuco. 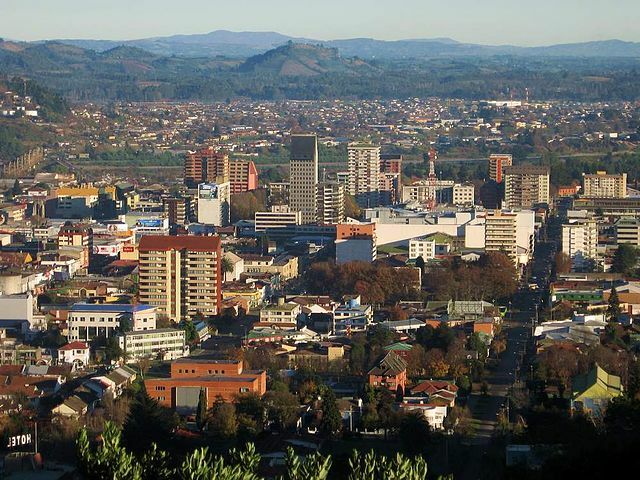 Located four-hundred miles south of Santiago, the city of Temuco is popular place to visit among tourists. It is also the capitol of the CautÃ­n Province, and a culture-filled city packed with history and fun attractions. In Temuco, you will find fascinating things around every corner. A hike through the forest to the top of Cerro Ã‘ielol offers a breathtaking view of the city, and there is also a great restaurant up there. Alemania Avenue is a highly-visited area of the city that is home to several impressive buildings, such as the Araucaria Museum and the Menchaca Lira Campus of Art, as well as a variety of bistros, bars, and boutiques. Temuco is also home to the Mercado Municipal, which sells all sorts of handmade goods, souvenirs, clothing and jewelry, and is one of the best markets in Chile. You won,™t have any trouble finding a comfortable place to stay either in Temuco, since it,™s such a popular tourist hub, and there are countless gourmet restaurants to choose from. It,™s not difficult to understand why this Chilean city attracts so many visitors. With so many fun and interesting things to see and do, Temuco is the ideal place for your next getaway.